Dragon’s Blood Elixir Hot Sauce was the first sauce from Chef Doug Crane of DragonsBloodElixir.com and it has become a staple on our pantry shelf. Label: We love the old school “snake oil salesman” style of the label. It evokes the “Cure’s What Ails You” Wild West style labels. The label even says “Guaranteed to Cure Bland Foods” and “Good For What Ails You”! I found a rubber stamp of a fire breathing dragon at a tag sale, and the Dragon’s Blood Elixir name [and label] was coined. Taste: out of the bottle, it is sweet, thanks to the apple ingredients, and then the slight heat of the peppers will fill your mouth and coat your lips. 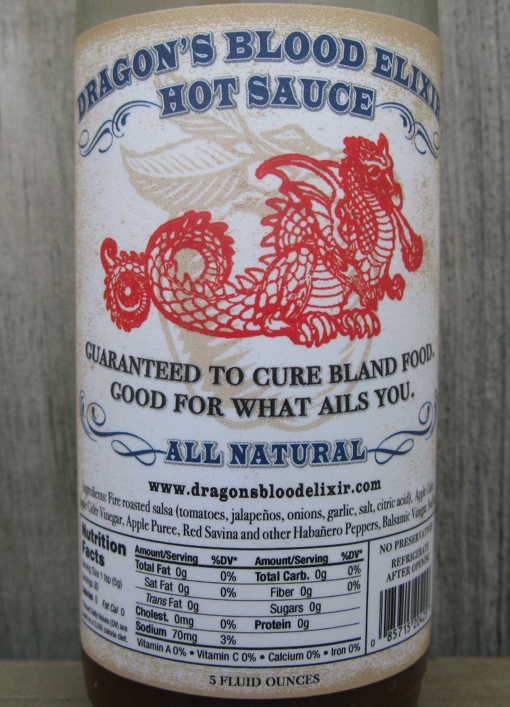 Don’t be alarmed reading this – Dragon’s Blood Elixir is NOT a very hot sauce. It is tangy, zingy (that’s a word, right? ), and has a nice low level heat to it. We love the sweetness of it, coupled with the mild heat of the peppers. If you could take your favorite Salsa, and bottle it with your favorite peppers, and make it pourable, you would come up with something like this sauce. Chef Doug has nailed that combination here in the Dragon’s Blood Elixir sauce. 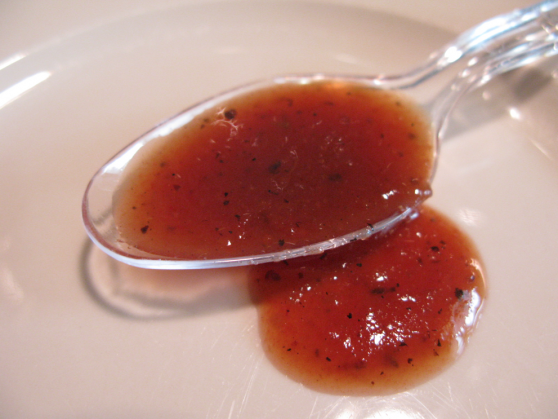 Consistency: This sauce is just shy of being thin, with bits of peppers and seasonings. It’s delicious and goes fast, so order 2 or more! 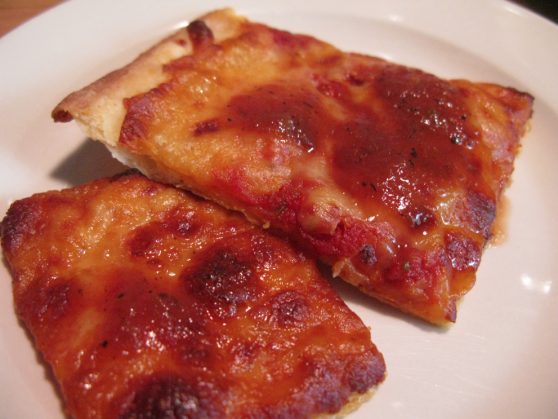 Here, I’ve poured a dollop or two on pizza – awesome! My go-to on pizza has been Tabasco, or Frank’s, but there’s a new kid in town for us. We love this sauce. Do yourself a favor and order a few bottles of the Dragon’s Blood Elixir, as well as one of each of the other sauces. Currently Chef Doug is offering a flat rate shipping of $7.95 on ALL orders. So go get ’em! Chef Doug certainly knows his stuff. Dragon’s Blood Elixir and Unique Destiny Jolokia Sauce are some of the best new sauces I’ve tried this year. nice review! I can’t wait to get a bottle, or two. They are so good, Shawn. Can’t miss goodness! That sounds delicious! I love a bit of hot sauce to compliment something sweet. My friend loves to cook and always goes for the spicy style cajun mexican meals. Absolutely to die for! I might get some of this and try it with nachos and guacamole. Divine! man this dragon’s blood is delicious. thank you for the review! WOW, what can I say. Everyone of his sausces are incredible. The carribean mustard sauce was AMAZING! It lasted in my house for 2 days. We will be getting some more Sunday. The DragonsBlood is sooooo tasty. It sure will cure your bland food. 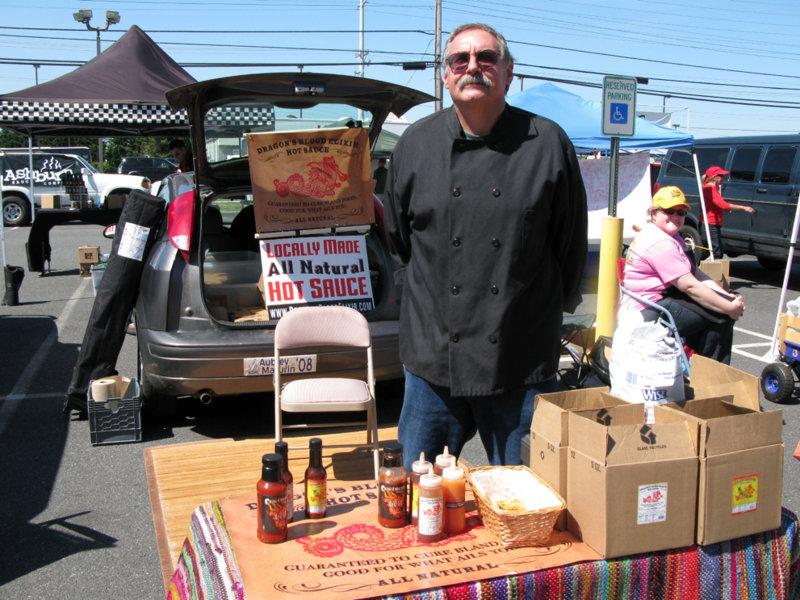 If you cant get to the Coventry’s Farmers market to get some, order it online.